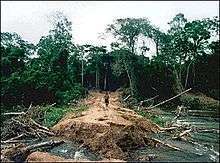 Environmental issues in Brazil include deforestation in the Amazon basin, illegal wildlife trade, illegal poaching, air and water pollution, land degradation and water pollution caused by mining activities, wetland degradation and severe oil spills, among others. As the home to approximately 13% of all known species, Brazil has one of the most diverse collections of flora and fauna on the planet. Impacts from agriculture and industrialization in the country threaten this biodiversity. As a developing or newly industrialized nation, Brazil is notable for taking a lead in environmentally friendly initiatives. In the field of biofuels, Brazil is the second-largest producer of ethanol in the world. It is also home to two sustainable cities. Nevertheless, environmental issues remain a major concern in Brazil. Deforestation in Brazil is a major issue; the country once had the highest rate of deforestation in the world. By far the most deforestation comes from cattle ranchers that clear rainforest (sometimes illegally, sometimes legally), so as to make room for sowing grass and giving their cattle the ability to graze on this location. An important route taken by cattle ranchers and their cattle is the Trans-Amazonian Highway. Deforestation has been a significant source of pollution, biodiversity loss, and greenhouse gas emissions worldwide, but deforestation has been Brazil's foremost cause of environmental and ecological degradation. Since 1970, over 600,000 square kilometers of Amazonian rainforest have been destroyed and the level of deforestation in the protected zones of Brazil's Amazon rainforest increased by over 127 percent between 2000 and 2010. Recently, further destruction of the Amazon Rainforest has been promoted by an increased global demand for wood and soybeans. The Brazilian Ministry of Environment recently announced data showing a decrease in deforestation rates in the Amazon Rainforest since mid-2011. This is in part due to an increased awareness of the damaging effects of prolific logging practices and a shift toward sustainable forestry in Brazil. The effect of deforestation on rainfall. Although forestry companies—many of which are based outside of Brazil—are interested in increasing their longevity, the Brazilian government has been actively promoting more sustainable forestry policies for years. Brazil's National Institute for Space Research (INPE) has helped reduce deforestation levels over the course of 2011 through its Real Time Deforestation Detection System. 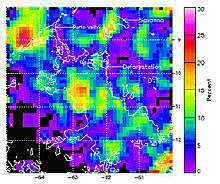 Furthermore, Brazil is negotiating to use satellites from India to improve the monitoring of deforestation in the Amazon rain forest. Brazilian officials and environmental advocates alike are confident that these measures will enhance the Brazilian government's ability to combat deforestation, biodiversity loss, and pollution. In addition, the Government is taking measures to more effectively enforce its deforestation reduction policy through shutting down illegal sawmills and seizing illegal timber and vehicles. Despite all those efforts, however, the problem with deforestation and illegal logging still remains a very serious issue in the country. Brazil is home to over 6% of the world's endangered species. According to a species assessment conducted by the IUCN Red List of Endangered Species, 97 species have been identified in Brazil with vulnerable, lower risk/near threatened, endangered, or critically endangered standing. In 2009, 769 endangered species were identified in Brazil making it home to the eighth largest number of endangered species in the world. Much of this increase in Brazil, as well as the countries it precedes, is caused by rapid deforestation and industrialization. This has been noted by Carlos Minc, Brazil's Environment Minister, who states that as protected areas are populated by humans, preservation areas are lacking the essential protection they need. Changing environmental factors are largely responsible for the increase in the number of endangered species. Taking into account the large effects that deforestation and industrialization have had, it becomes clear that by increasing regulation and policy these detrimental effects can be reversed. Brazil's population has a stable growth rate at 0.83% (2012), unlike China or India which are experiencing a rapid urban growth. With a steady growth rate, the challenge for waste management in Brazil is in regard to provision of adequate financing and government funding. While funding is inadequate, lawmakers and municipal authorities are taking steps to improve their individual cities' waste management systems. These individual efforts by city officials are made in response to the lack of an all-encompassing law that manages the entire country's waste materials. Even though there are collection services, they tend to focus in the south and southeast of Brazil. However, Brazil does regulate dangerous waste materials such as oil, tires and pesticides. In 2014, Brazil hosted the FIFA World Cup. As a result, a great amount of investment entered the country, yet waste management improvements still lack funds. In order to address the lack of federal involvement, the public and private sectors, as well as formal and informal markets, are developing potential solutions to these problems. International organizations as well are teaming up with local city officials such as in the case of the United Nations Environment Programme (UNEP). Since 2008, the UNEP has been working with Brazil to create a sustainable waste management system that promotes environmental preservation and conservation along with the protection of public health. This partnership is between the UNEP and city officials who form the Green and Healthy Environments Project in São Paulo. With community involvement, the project is able to promote polices that establish environmental change. According to a UNEP report, the project has already gathered research on sanitation in Brazil. With the various partnerships and collaborations, certain cities are making strides in efficiently managing their waste, but a more comprehensive and conclusive decision must be made for the entire country to create a more sustainable future. Currently, collection services are more prominent in the south and southeast regions of Brazil. Various methods are used to separate waste materials, such as paper, metal and glass. According to Integrated Municipal Solid Waste Management, solid waste in Brazil is composed of 65% organic matter, 25% paper, 4% metal, 3% glass, and 3% plastic. Within 405 municipalities, 7% of the country's total municipalities, 50% of the separation of these materials is conducted through door-to-door service, 26% through collection points, and 43% through informal street waste pickers. A major victory for waste collection was between 2006 and 2008 when the country's waste collection services expanded to service an additional one million people, bringing the rate of separated waste collection among the country's population to 14%. While waste collection in Brazil is improving slightly, the ultimate disposal of waste commonly takes place in inadequate landfills. While landfills are often viewed as the last option for waste disposal in European nations, preferring waste-to-energy systems instead, Brazil favors landfills and believes they are efficient modes of disposal. The preference for landfills has hindered the creation of alternative methods of waste disposal. Often, this hesitation is in response to the initial costs of adopting new solutions. For example, incinerators are expensive to purchase, operate and maintain, eliminating them as an option for most cities in Brazil. According to the Integrated Municipal Solid Waste Management Manual, landfill usage will begin to fall due to new regulation and laws. As the risks and environmental hazards of open air landfills are understood by municipality administrators in Brazil, more dumps are being closed in favor of sanitary landfills. However, these policy changes will only happen with appropriate financing. Waste-to-energy is one way to dispose of all combustible waste in which recycling alone is not economically viable. As income levels rise in the southern region of Brazil, citizens are urging officials to improve waste management systems. However, the results are limited as no commercial facilities are currently being constructed. Even though citizens and officials are beginning to understand the harm of landfills and the importance of waste management, most do not understand waste-to-energy systems. On the other hand, waste-to-energy industry leaders do not understand the current waste condition in Brazil. In order to provide specific solutions to problems in Brazil, the Waste to Energy Research Technology Counsel in Brazil is developing a hybrid municipal solid waste (MSW)/natural gas cycle. This system burns a small amount of natural gas that is 45% efficient and 80% of the energy that is produced by MSW is 34% efficient. Their patented system takes a small gas turbine and mixes it with preheated air. Another benefit of using low amounts of natural gas is the possibility of replacing it with landfill gas, ethanol, or renewable fuels. Another benefit is that this system does not change current incinerator technology, which allows it to use components that already exist in other waste-to-energy plants. Private sector involvement in the waste-to-energy industry includes companies such as Siemens, CNIM, Keppel-Seghers, Hitachi Zosen Inova, Sener, Pöyry, Fisia-Babcock, Malcolm Pirnie and others who are already established in Brazil and developing waste-to-energy projects. Some cities currently considering such projects are Belo Horizonte, Rio de Janeiro, São Paulo, São José dos Campos, São Bernardo do Campo and others. Clean development mechanism projects are also beginning to develop at some Brazilian landfills. These projects are established to collect gases produced on-site and convert them into energy. For example, at a landfill in Nova Iguaçu (Rio de Janeiro area), methane is being collected and converted into electricity. This process is expected to eliminate 2.5 million tons of carbon dioxide emissions by 2012. According to data from the Brazilian Association of Public Cleaning and Special Waste Companies including sewage, Brazil is a leader in aluminum can recycling without government intervention with ten cans being recycled every year. In 2007, more than 96% of cans available in the market were recycled. This leadership comes from informal waste scavengers that make their living by collecting aluminum cans. However, recycling in general in Brazil is low. Brazil produces 240 thousand tons of waste every day. Out of this amount, only 2% is recycled with the remainder dumped in landfills. In 1992, private companies in Brazil established the Brazilian Business Commitment for Recycling (CEMPRE), a nonprofit organization that promotes recycling and waste elimination. The organization issues publications, conducts technical research, holds seminars and maintains databases. Nevertheless, only 62% of the population has access to the garbage collection. Even within these collection systems, the collection of recyclable material is not common. The success of informal waste pickers provided evidence to lawmakers and citizens that solutions that are low tech, low cost, and labor-intensive can provide sustainable solutions to waste management while also providing social and economic benefits. Due to its unique position as the only area of the world which extensively utilizes ethanol, air quality issues in Brazil relate more to ethanol-derived emissions. With about 40% of fuel used in Brazilian vehicles sourced from ethanol, air pollution in Brazil differs from that of other nations where predominately petroleum or natural gas-based fuels are used. Atmospheric concentrations of acetaldehyde, ethanol and possibly nitrogen oxides are greater in Brazil than most other areas of the world due to their emissions being higher in vehicles using ethanol fuels. 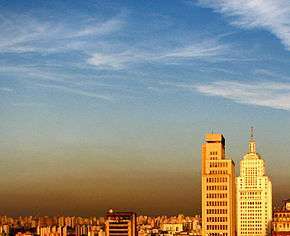 The larger urban areas of São Paulo, Rio de Janeiro, and Brasilia suffer from substantial ozone issues because both acetaldehyde and nitrogen oxides are significant contributors to photochemical air pollution and ozone formation. On the other hand, by the mid-1990s, lead levels in the air had decreased by approximately 70% after the widespread introduction of unleaded fuels in Brazil in 1975. Numbers of automobiles and levels of industrialization in Brazilian cities highly influence levels of air pollution in urban areas which have an important impact on health for large population groups in major Brazilian urban areas. Based on annual air pollution data gathered in the cities of Belo Horizonte, Curitiba, Fortaleza, Porto Alegre, Rio de Janeiro, São Paulo, and Vitória between the years of 1998 and 2005, 5% of total annual deaths in the age groups of children age five and younger and adults age 65 and older were attributed to air pollution levels in these cities. Rio de Janeiro and São Paulo were ranked the 12th and 17th most polluted cities in an evaluation based on World Bank and United Nations data of emissions and air quality in 18 mega-cities. The multi-pollutant index used to perform the evaluation did not include any of the pollutants specific to the air quality impacts of ethanol fuel use. The city of Cubatão, designated by the Brazilian government as an industrial zone due in part to its proximity to the Port of Santos, became known as the "Valley of Death" and "the most polluted place on Earth". The area has historically housed numerous industrial facilities including an oil refinery from Petrobras and a steel mill from COSIPA. Operation of such facilities was done so "without any environmental control whatsoever" prompting tragic events throughout the 1970s and 1980s including mudslides and birth defects potentially attributable to heavy pollution in the region. Since that time, efforts have been made to improve environmental conditions in the area including, since 1993, COSIPA's $200 million investment in environmental controls. In 2000, Cubatão's center registered 48 micrograms of particles per cubic meter of air, down from 1984 measurements registering 100 micrograms of particles per cubic meter. Likely due to trade liberalization, Brazil has a high concentration of pollution-intensive export industries. Studies point to this as evidence of Brazil being a pollution haven. The highest of levels of pollution intensity are found in export-related industries such as metallurgy, paper and cellulose, and footwear. Brazil has a generally advanced and comprehensive legislation on environmental protection and sustainability. Laws regarding forests, water, and wildlife have been in effect since the 1930s. Until the mid-1990s, environmental legislation addressed isolated environmental issues; however, the legal framework has been improved through new policy-making that targets environmental issues within the context of an integrated environmental policy. The Brazilian government strives toward the preservation and sustainable development of Brazilian biomes. Consequently, the Brazilian government developed strategies to impose specific policies for each biome and organize opportunities for social participation, institutional reform of the forestry sector, and expansion of the biodiversity concept. For example, the program Legal Earth, developed by the Ministries of Agrarian Development and Environment, has the responsibility to regulate the use of public lands occupied in the Amazon region. This program was successful in restricting the marketing of meat produced on illegally deforested areas and the proper identification of permitted areas for growing sugarcane for the production of ethanol. Brazil recognizes that it is part of the solution to the problem of climate change. In 2010, Brazil took the necessary steps to advance its climate change commitments made at the COP-15 in Copenhagen. For example, the policy to combat deforestation in the Amazon in recent years has produced positive results, as demonstrated by announcements of increasingly lower deforestation rates. Data from 2010 shows that Brazil has reduced deforestation rates in the Amazon by more than 70%, the lowest deforestation rate in over 20 years. At this rate, Brazil's goal of reducing greenhouse gas emissions by 38.9% could be reached by 2016 rather than 2020. The Ministry of Environment is responsible for Brazil's national environmental policy. The ministry's many departments deal with climate change and environmental quality, biodiversity and forests, water resources, sustainable urban and rural development, and environmental citizenship. Other authorities are also responsible for the implementation of environmental policies, including the National Council on the Environment, the National Council of the Amazon, the National Council of Water Resources, the Chico Mendes Institute for Biodiversity Conservation (ICMBIO), Brazilian Institute of Environment and Renewable Natural Resources (IBAMA), Board of Management of Public Forests, and others. The collaborative work of these institutions makes it possible to ensure sustainable growth within the means of the environment. The development of institutions at the governmental level was stimulated and accompanied by the diffusion and increasing importance of NGOs dedicated to environmental causes and sustainable development. Numerous NGOs throughout Brazil produce documents containing both useful information and criticisms. SOS Mata Atlântica 1986 Defend the Atlantic Forest areas, protect the communities that inhabit the region, and preserve their natural, historical, and cultural heritage. Socio Environmental Institute 1994 Defend rights related to the environment, cultural heritage, and human rights. Greenpeace Defend the environment by raising awareness about environmental issues and influence people to change their habits. WWF-Brasil 1996 Instruct Brazilian society on how to use natural resources in a rational manner. Conservation International (CI) 1987 Protect biodiversity and instruct society on how to live in harmony with nature. Akatu Institute Guide Brazil's consumption habits toward a sustainable model. Ecoar Institute After Rio-92 Provide environmental education as an effort to rescue degraded areas and implement local sustainable development programs and projects. Ecoa 1989 Create a space for negotiations and decisions about environmental protection and sustainability. Recicloteca Diffuse information on environmental issues, especially for the reduction, reutilization, and recycling of waste. Friends of the Earth-Brazilian Amazon 1989 Develop projects and activities that promote sustainable development in the Amazonian region. National Network to Fight the Trafficking of Wild Animals (Renctas) 1999 Combat the trafficking of wild animals and contribute to biodiversity protection. Atlantic Forest NGO Network Provide information about NGOs that work toward the protection of the Atlantic Forest. Brazilian Forum of NGOs and Social Movements for the Environment and Development (FBOMS) 1990 Facilitate the participation of the public in the United Nations Conference on Environment (UNCED). Brazilian Foundation for Sustainable Development (FBDS) 1992 Implement the conventions and treaties approved at Rio-92. As part of Brazil's environmental initiatives, it is party to the following international agreements: Antarctic-Environmental Protocol, Antarctic-Marine Living Resources, Antarctic Seals, Antarctic Treaty, Biodiversity, Climate Change, Kyoto Protocol, Desertification, Endangered Species, Environmental Modification, Hazardous Wastes, Law of the Sea, Marine Dumping, Ozone Layer Protection, Ship Pollution, Tropical Timber 83, Tropical Timber 94, Wetlands, Whaling. 1 2 "The World Factbook: Brazil". Central Intelligence Agency. Retrieved 2011-12-06. ↑ "Biodiversity - Portal Brasil". Brasil.gov.br. 2010-01-18. Retrieved 2011-12-11. ↑ International Monetary Fund (April 2011). World Economic Outlook: Tensions from the Two-Speed Recovery (PDF). ISBN 978-1-61635-059-8. ↑ "World Fuel Ethanol Production". Renewable Fuels Association. Retrieved 2012-03-07. ↑ "Sustainable Cities International Network Map". Sustainable Cities International. Archived from the original on 2012-04-22. Retrieved 2012-03-07. ↑ Tavener, Ben (2011-10-11). "Brazil Deforestation: Winning Battle, Losing War". The Rio Times. Retrieved 2011-12-06. ↑ "Timberinvestments.co: Sustainable Forestry Plantations Can Turn into a Way to Save the Brazilian Rainforest" (Press release). Digital Journal. 2011-11-13. Retrieved 2011-12-06. 1 2 Choppin, Simon (2009-11-03). "Red list 2009: Endangered species for every country in the world". theguardian.com. Retrieved 2011-12-06. ↑ "The IUCN Red List of Threatened Species". International Union for Conservation of Nature. ↑ Platt, John (April 27, 2009). "Brazil's endangered species list triples in size". Plenty (magazine). Mother Nature Network. Retrieved 2011-12-06. ↑ "Batteries in Brazil". IHS. Retrieved 2011-12-06. ↑ Guerreiro Ribeiro, Sergio (June 2011). "WtE: the Redeemer of Brazil's waste legacy?". Waste Management World. 12 (3). Retrieved 2011-12-06. ↑ "CEMPRE - Compromisso Empresarial para Reciclagem" (in Portuguese). CEMPRE. Retrieved 2011-12-06. ↑ "Updated Project Information Document: BRAZIL - Nova Gerar Landfill Rio de Janeiro" (PDF). The World Bank. 2004-03-17. Retrieved 2011-12-11. ↑ "Waste Pickers & Solid Waste Management". WIEGO. Retrieved 2011-12-06. 1 2 Anderson, Larry G (2009). "Ethanol fuel use in Brazil: air quality impacts". Energy & Environmental Science. 2 (10): 1015–1037. doi:10.1039/B906057J. ↑ Marcilio, Izabel; Gouveia, Nelson (2007). "Quantifying the impact of air pollution on the urban population of Brazil" (PDF). Cad. Saúde Pública. Rio de Janeiro. 23 (Sup 4): S529–S536. ↑ "'Valley of Death' breathes again, barely". The Indian Express. Reuters. 2000-07-12. Archived from the original on 2006-03-06. 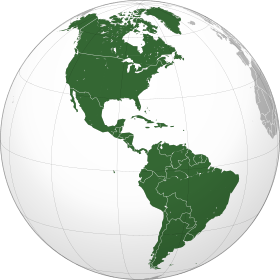 ↑ Working Group on Development and Environment in the Americas (June 2004). "Trade and liberalization, environment and development" (PDF). Retrieved 2011-12-11. 1 2 Hudson, Rex A., ed. (1997). "The Society and Its Environment: The Environment". Brazil: A Country Study. Library of Congress Country Studies. Retrieved 2011-12-06. ↑ "Legislation - Portal Brasil". Brasil.gov.br. 2010-12-30. Retrieved 2011-12-06. 1 2 "Government Actions - Portal Brasil". Brasil.gov.br. 2010-02-19. Retrieved 2011-12-06. ↑ "Climate change - Portal Brasil". Brasil.gov.br. Retrieved 2011-12-11. ↑ "Brazil". State.gov. 2011-11-30. Retrieved 2011-12-11. ↑ "Environmental Non-Governmental Organizations - Portal Brasil". Brasil.gov.br. Retrieved 2011-12-11.